Snackers can delight in these fantastic Quinoa Chips from Simply 7. High in protein and wonderfully flavored, Simply 7 has recently launched a line of delicious, crunchy chips that are made from the ancient super grain, quinoa. 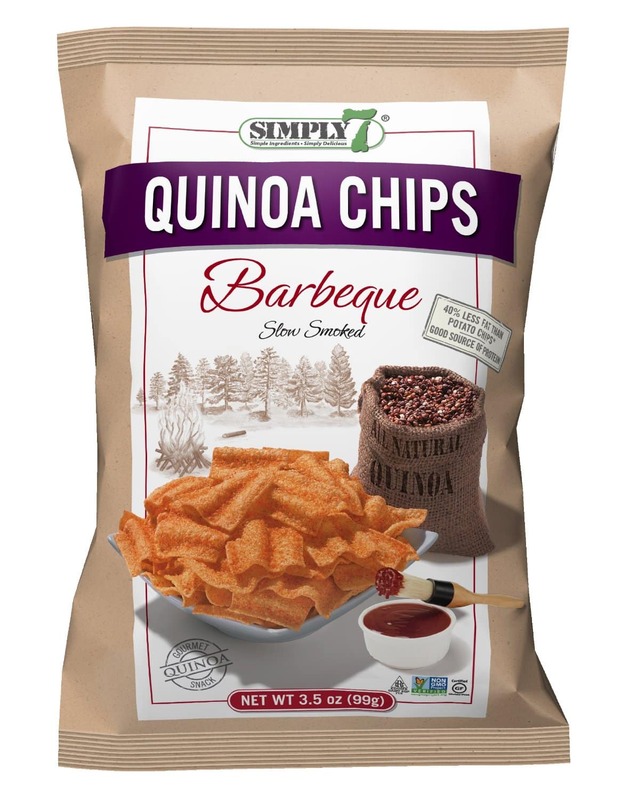 Simply 7 has a line of other chips too (Lentil Chips, Hummus Chips, and Pomegranate Chips) which are all very good, but their new Quinoa Chips have really stolen my heart. They come in 4 fabulous flavors – Sea Salt, Barbecue, Sour Cream & Onion, and Cheddar- YUM! And each 20 chip serving is just 3-4 Points. These all natural, gluten-free, Non-GMO crisp and airy chips are absolutely delightful and a perfect Weight Watchers snack food. Simply 7’s Quinoa Chips have that slightly nutty flavor of the quinoa grain and are enhanced with other truly delicious flavor options. While I can say that I honestly enjoyed them all, I was partial to the Sour Cream & Onion and the Barbecue. Buy them on Amazon, or check out the store locator to see if you can round some up locally. I picked these up today – I got the Sea Salt ones, and while good, I think I’ll definitely opt for a flavor next time. Thanks for the tip!